Our team of highly-knowledgeable experts is committed to quality, and constant improvement, so that we can continue to provide our customers with the best service. 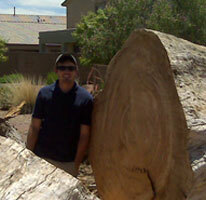 We’re a high-quality landscaping company serving Southern Arizona from our Tucson location. We handle jobs for private homes, HOAs, hotels and utility companies, and we’re committed to providing the best possible service and work to all of our clients. 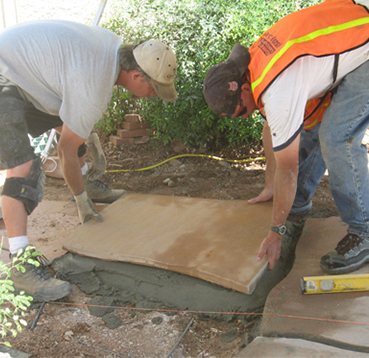 In the over 30 years that we’ve been serving the Southern Arizona area, we’ve done work in a wide range of specialties, and our knowledge and passion has grown with each project. Check out our portfolio to see the quality that we bring to our customers. We seek out hard-working, dedicated landscaping professionals, who are constantly improving so that they can offer the best quality to our clients. Does that sound like you? Are you interested in being the best landscaper you can be? 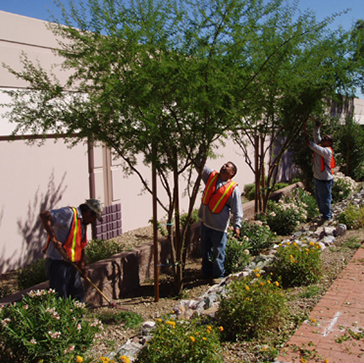 Interested in being part of the Complete Landscaping team? Great, we’d love to hear from you. Check out our employment page to see if we currently have any openings that would be a good fit. We’re excited to meet you. 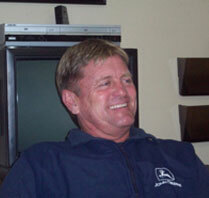 BIll started Complete Landscaping in 1986, and has driven its success ever since. When he’s not putting over 33 years of experience into creating beautiful landscape solutions, he enjoys golfing, going to the gym, and scuba diving. As our Operations Manager, and Northern Route Manager, Jon ensures that all work gets done on time, on budget, and according to Complete Landscaping’s standards. Jon is passionate about creating the best experience for our customers. Jason has been with Complete Landscaping for over 15 years, and brings his experience in waterfall installation and construction to his role as a Construction Supervisor. He keeps our crews on task so that our customers end up with beautiful landscapes. Kari has over 35 years of accounting experience, and over 25 years of experience as a business owner. A fan of the outdoors, she loves hiking, horseback and scuba diving. She maintains our books, and helps us be our best. Bill is a native Tucsonan, and has worked in customer service, management and regional training since 1981. 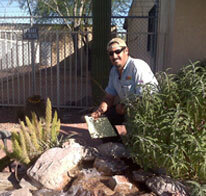 Coming to Complete Landscaping in 2014, he’s focused his efforts in leading our maintenance crews south of Pima Road. He’s here to keep our high level of quality, and delight our customers.